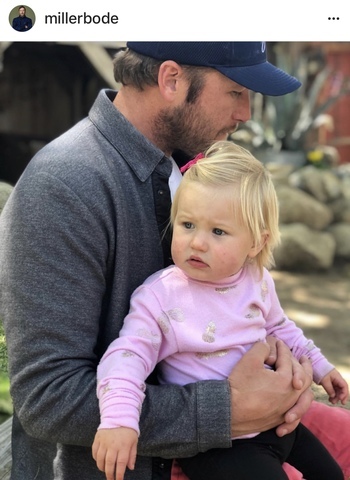 BROOKFIELD -- Infant drownings are a concern on the minds of many parents after Olympic skier Bode Miller's 19-month-old daughter died from falling into a neighborhood pool. "It's just terrible," said mother Kaylin Will. It's a tragedy that could happen in a split second. As Miller put it, "Never in a million years did we think we would experience a pain like this." "Absolutely, which is why I never let my eyes off of her even for a second in the water," said Will. That's a pain Will is taking proactive steps to prevent as a mother. "Her name is Tessa and we started when she was 2 and a half," she said. Tessa is not only learning how to swim at Goldfish Swim School in Brookfield, but potentially save her own life. "We live on water so I wanted her to be safe around the water from a young age," Will said. "I've seen as young as two-year-olds swim all the way across our pool and roll over all by themselves to take a breath and roll back in to continue swimming," said General Manager Tyler Schuldt. Schuldt said life jackets are a must, coupled with training. He teaches infants as young as four-months-old learn how to swim to the edge in case they were ever to fall in. "If they fall in, we're going to turn them around, get them to grab the wall," he said. "If they can't get to the wall, to roll over onto their back and start floating until help arrives." "It gives me peace of mind that she understands that water is something that we have to be careful of right away," Will said. Schuldt said parents should always have a designated water watcher who isn't looking at their phones, keeping all of their attention on the kids and the pool.